Wedding Planning? Consider Jimbo's Club at the Point! 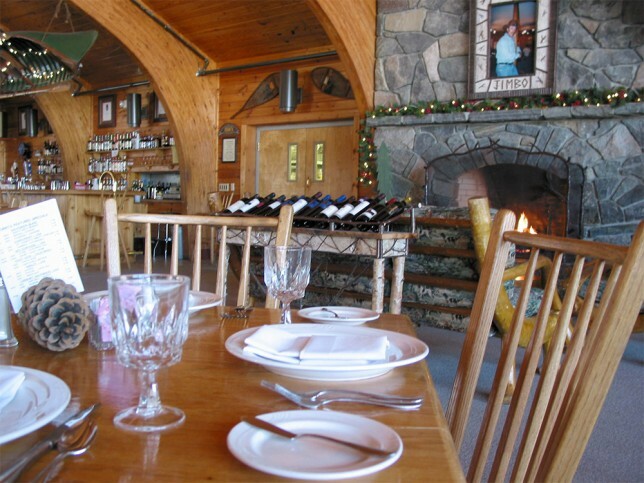 Jimbo’s Club at the Point is a restaurant that delights guests with delicious dinners and elegant events in a spectacular location overlooking Brant Lake and the Adirondack mountains. Jimbo’s has been recognized for a unique setting that will make every event or wedding truly memorable. The breathtaking wood and glass dining room is spacious even for the largest parties, and our decor is rustic and refined. Jimbo’s sits on a 26 acre peninsula on a scenic mountain lake in upstate New York. Jimbo’s is a wonderful place to celebrate very special times with friends and family.